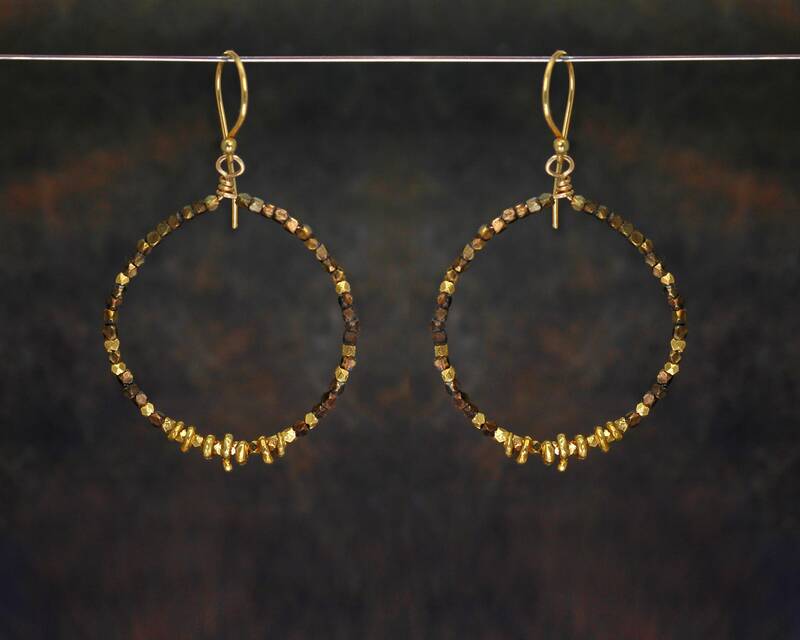 Mixed Metals, Beaded Hoop Earrings. Circle Earrings. 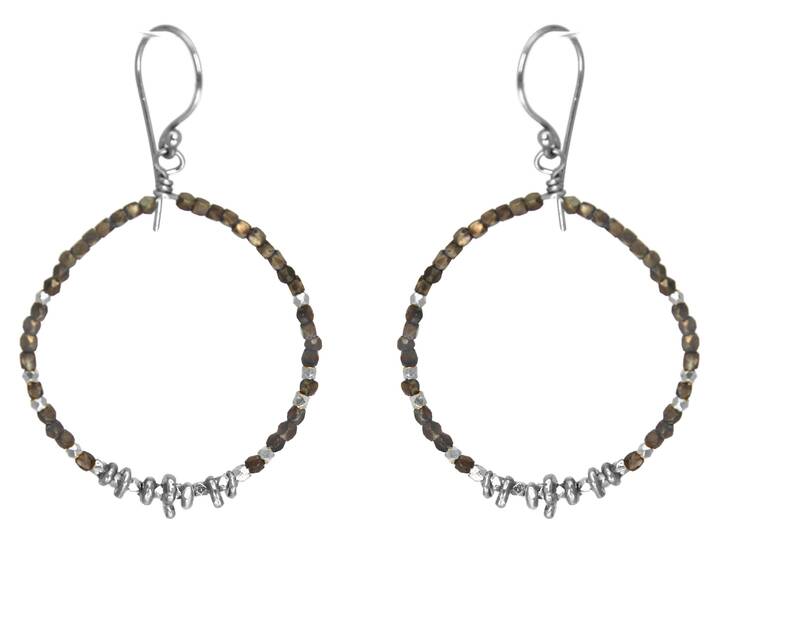 These are Beaded Hoop Earrings. 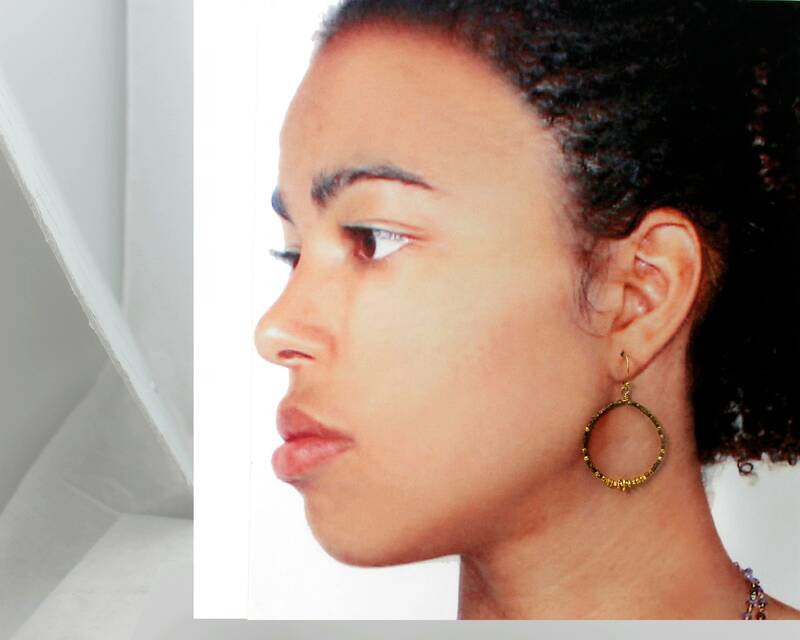 Circle Earrings. Boho Earrings. With antique brass beads and Vermeil nuggets. 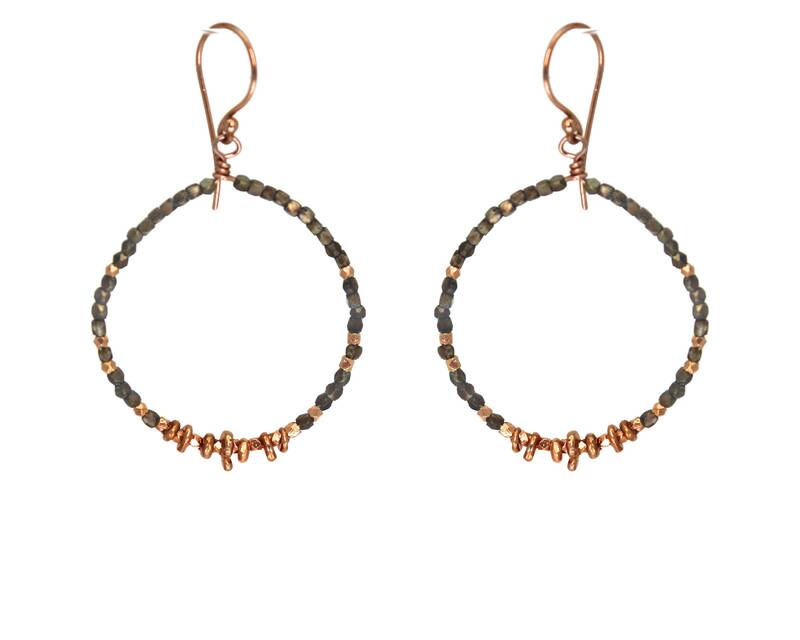 The hoops and earwires are 14k Rose gold filled 14k gold filled or 925 sterling silver. The rose gold turned out extra nice, I think. 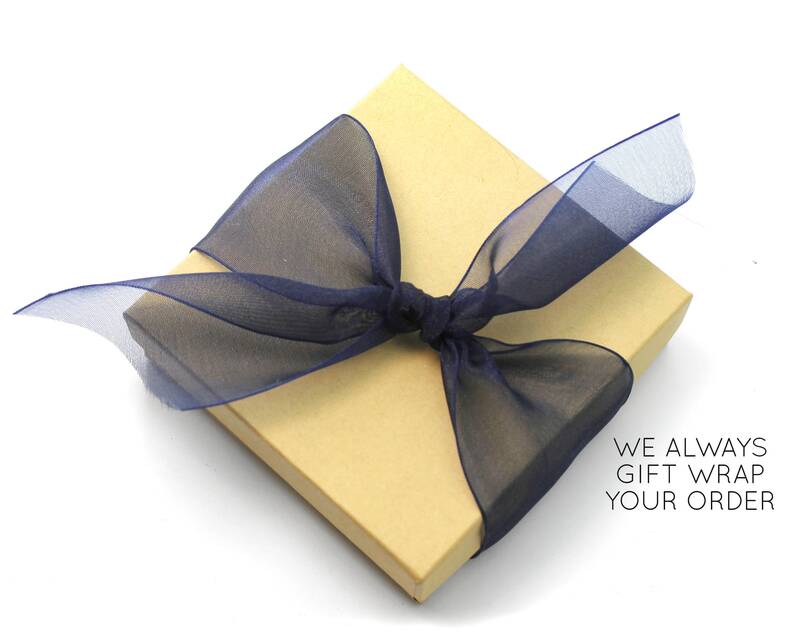 Pick your precious metal combo from the drop down menu.